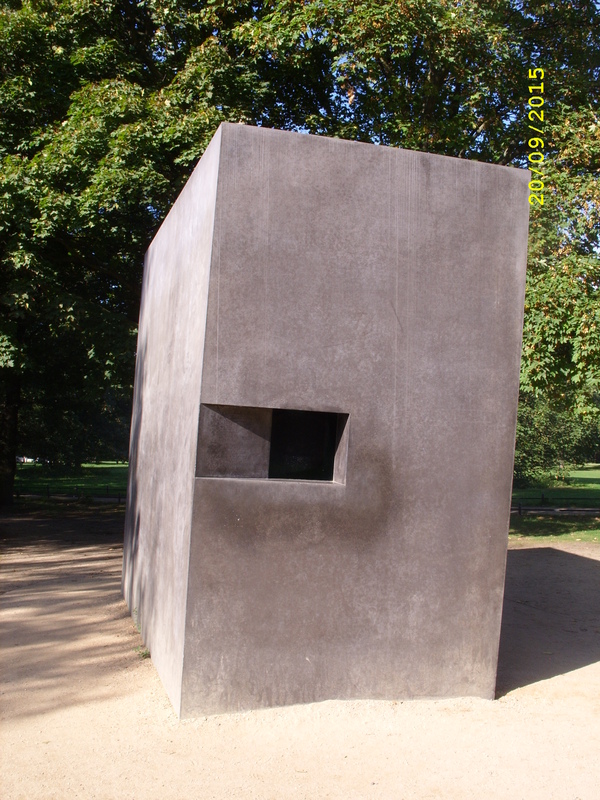 Where Conrad journeyed into a Heart of Darkness, in September a friend and I took an excursion into sadness. 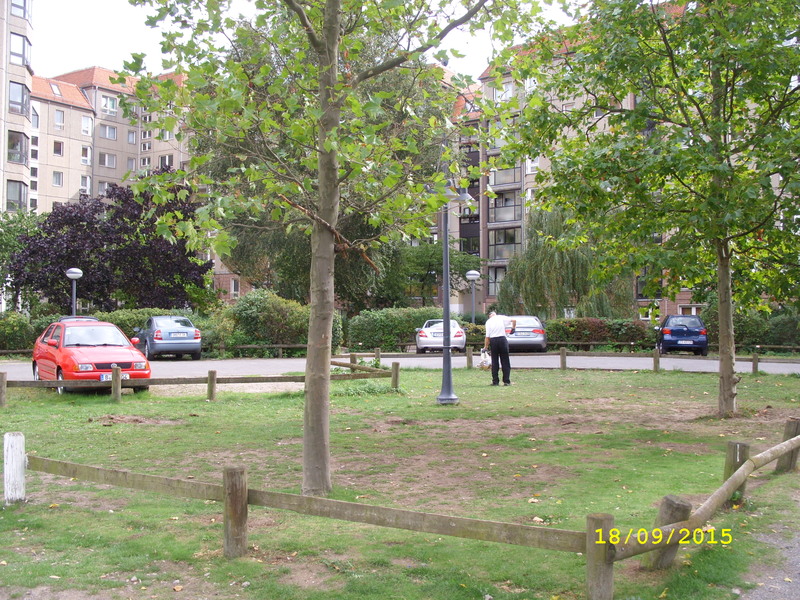 Together we embarked on a foray into what might have been and what was betrayed: we went looking for the GDR/DDR in modern Berlin. 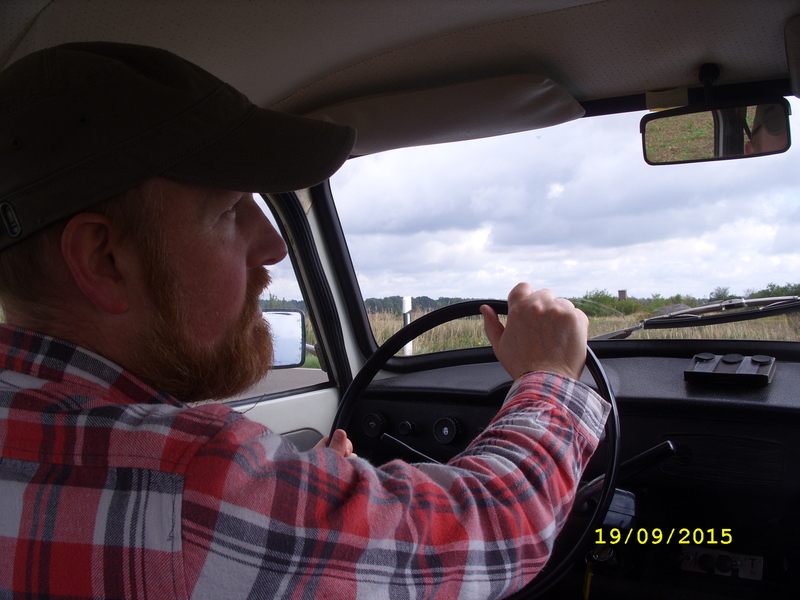 The GDR could have been an example of socialism but became instead a state racked by paranoia, a state of 90,000 Stasi agents and 175,000 Inoffizielle Mitarbeiter (informers). But I still believed in the possibility. That, at an everyday level there were elements of East German socialism which hinted at socialism as it might have been. After all, it is a fine line between Ostalgie (nostalgia for the East) and gawping at the worst of Totalitarianism. 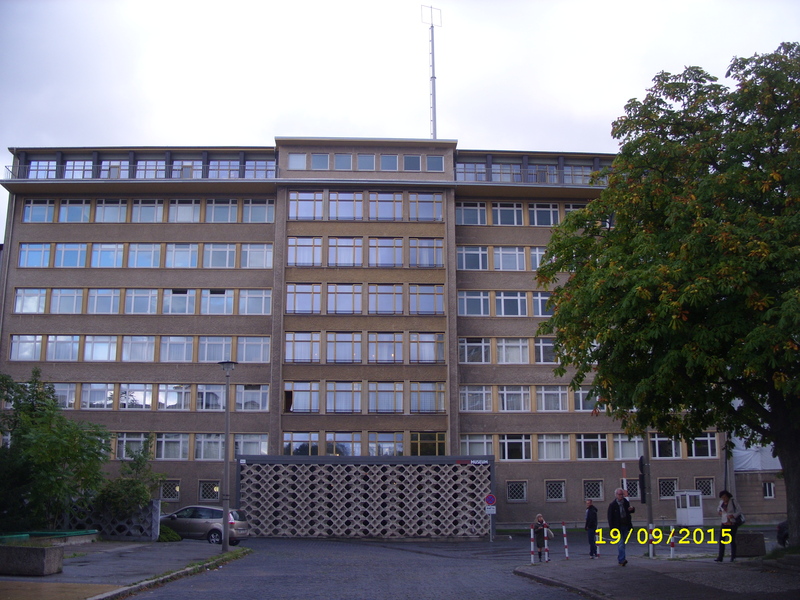 Was the GDR a workers paradise or a Stasi Hell? Like many such binary questions, the answer is probably somewhere in between, a plurality of truths and realities. And that certainly was my experience. 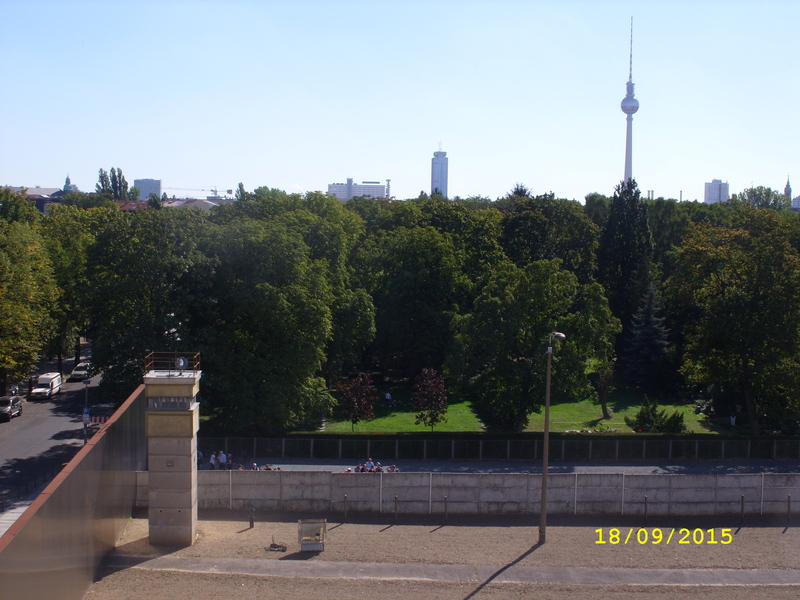 Nowhere was this more apparent than standing on the platform of the Wall Documentation Centre on Bernauer Strasse. 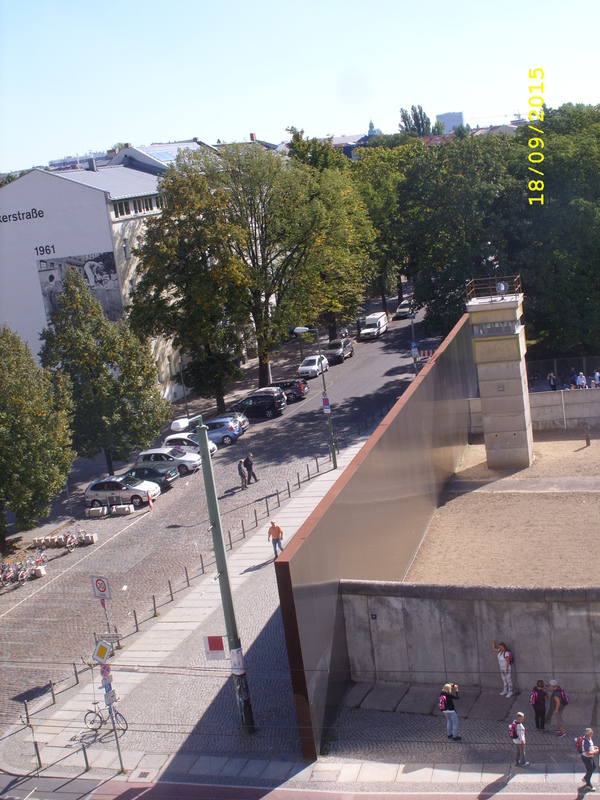 This free memorial gives an overview in words and pictures of the construction and division created by the Wall but, most strikingly, it allows you to climb to a platform to overlook a snapshot of the wall, death-strip and watch-tower exactly as it was. Un-touched, graffiti-free this living memorial is a stark symbol of the worst of the GDR’s predicament. A symbol of a state struggling with losing its workforce to the West, paranoid in its inability to keep control of its own citizens’ faith in socialism, all set against the best as in the background towers over all of Berlin the remarkable landmark of the East – the incredible Fernsehturm – or TV Tower as it is known in the West. Nearly all my guides placed the TV Tower as the most important thing to visit when in Berlin, but it is one of the very few symbols of the former East. Too bad then, that it is now little more than a London Eye-style novelty. 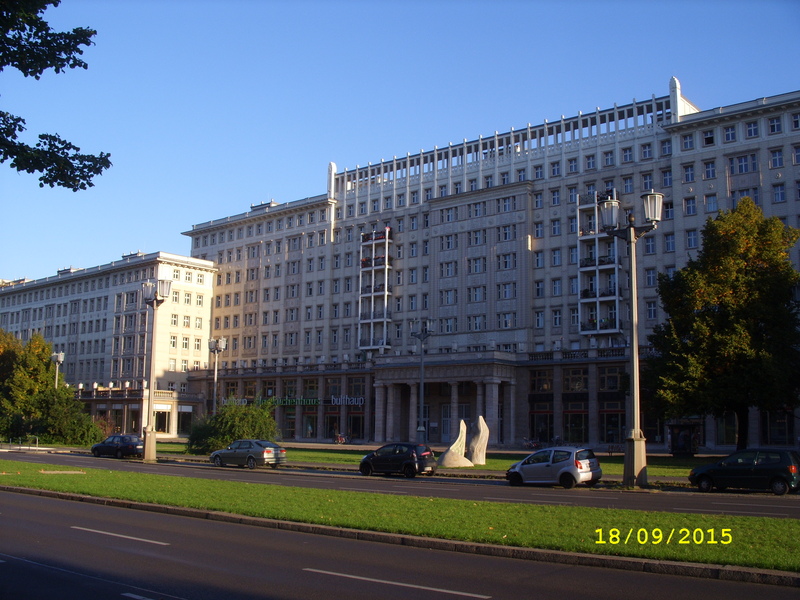 Constructed in the mid-to-late 1960’s it was the beacon of socialist achievement. Its lift doors open at bar and restaurant level to look out along the avenue of in front of the Brandenburg Tor (gate) – the Strasse Des 17 Juni – the symbolic avenue from the West to the centre of Berlin. And there’s nothing in the Western skyline that comes even close to matching the achievement of the TV Tower: socialism reigns supreme. And yet as I drank a Berliner Wasse with the traditional cherry juice I felt this wasn’t the East Germany as the workers knew it. Moreover today, despite its setting in Alexanderplatz the TV Towers feels almost disconnected from the GDR. And what’s more, the tourists around me didn’t seem to care about its history – the old symbol was now just a spectacle. 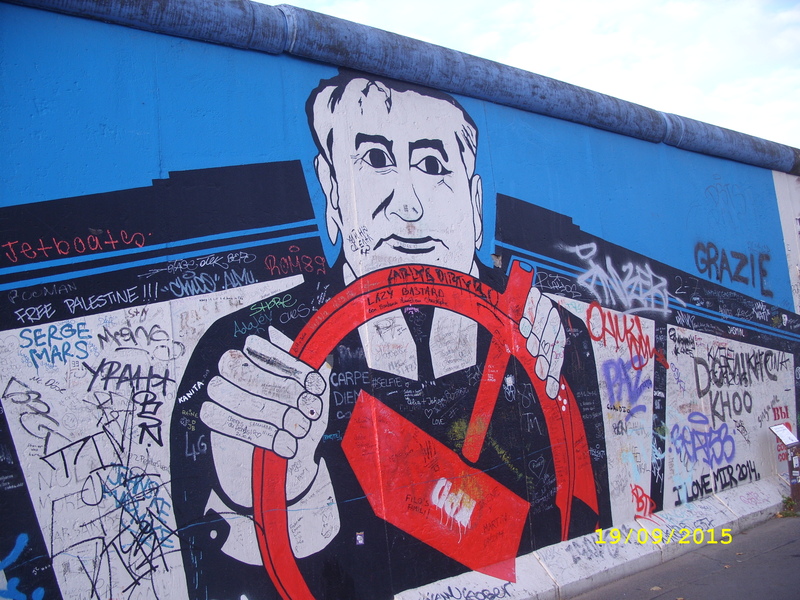 We stayed in the OSTEL Das DDR Design Hostel just off Paris Commune Strasse in the old East, not far from the East-Side Gallery (a long strip of the wall given over to graffiti art). 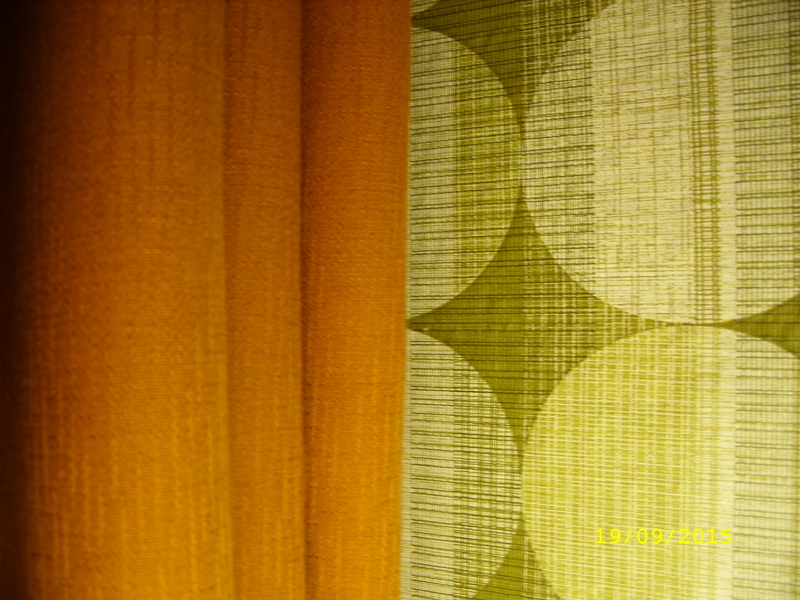 No TV, no mod-cons, just a basic 1970’s-era recreation of the GDR in each room. A portrait of Cabinet Minister Horst Sindermann keeps a watchful eye as you check-in at reception, complete with a TV playing a loop of GDR speeches and news. The furnishings and wall-papering of each room are GDR-era and it lends a space for contemplative reflection, of simplicity and scarcity, of sacrifice and suppression, of hope and ideals. 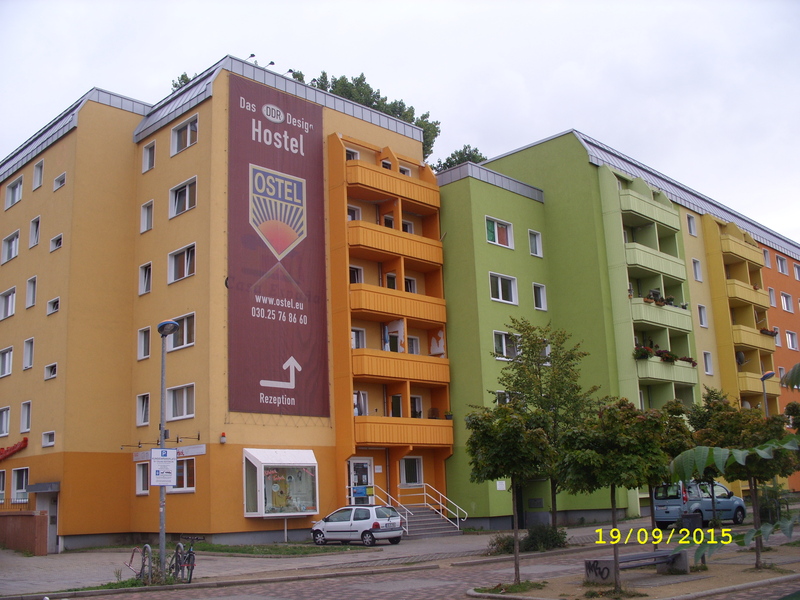 The rooms are cheap and the place unique, friendly, spare but touching if you like your travel with a sense of history and place. On the day we drove out into the country in our hired Trabant, the OSTEL provided a brown paper bag lunch at only €5 adorned with their own ‘Guten Appetit!’ label. 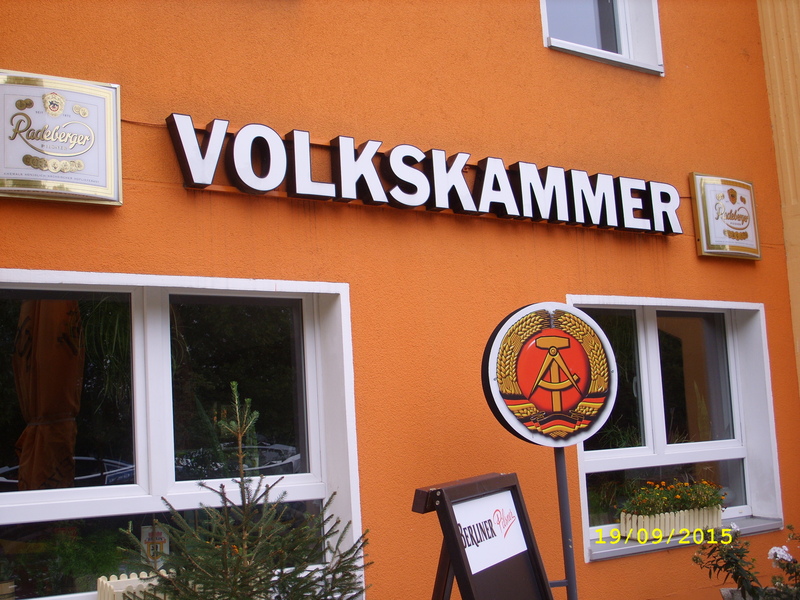 On the opposite side of our OSTEL’s citrus-fruit coloured building is the Volksammer (Das Design Restaurant), with the familiar GDR emblem emblazoned everywhere. A huge painting of Der Palast der Republik (my favourite building of the GDR – sadly now demolished) nestled alongside the TV tower and red flags adorns the length of one wall, and the menu is authentic GDR era cuisine. 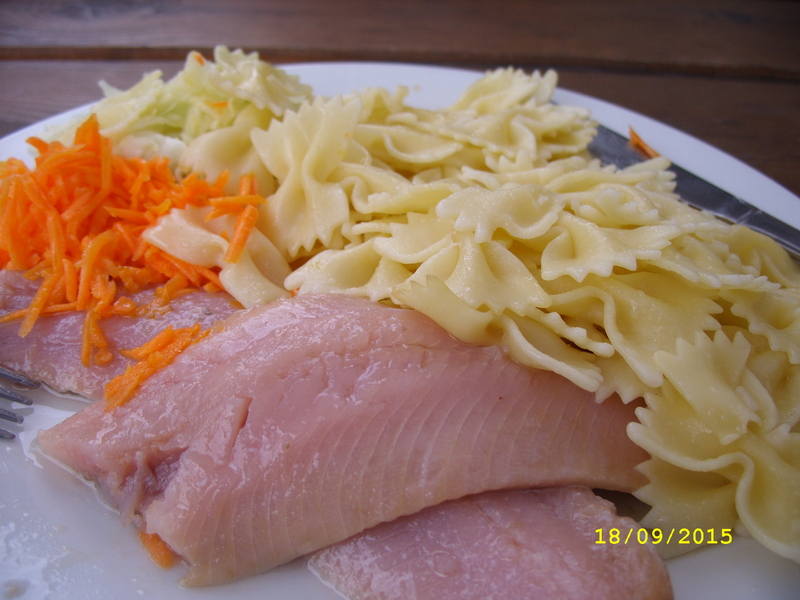 Much of which reminded me of school dinners or the food my mum made me as a boy in the late 70’s and early 80’s. Except for more fish, more pickled vegetables and, thankfully, more beer. 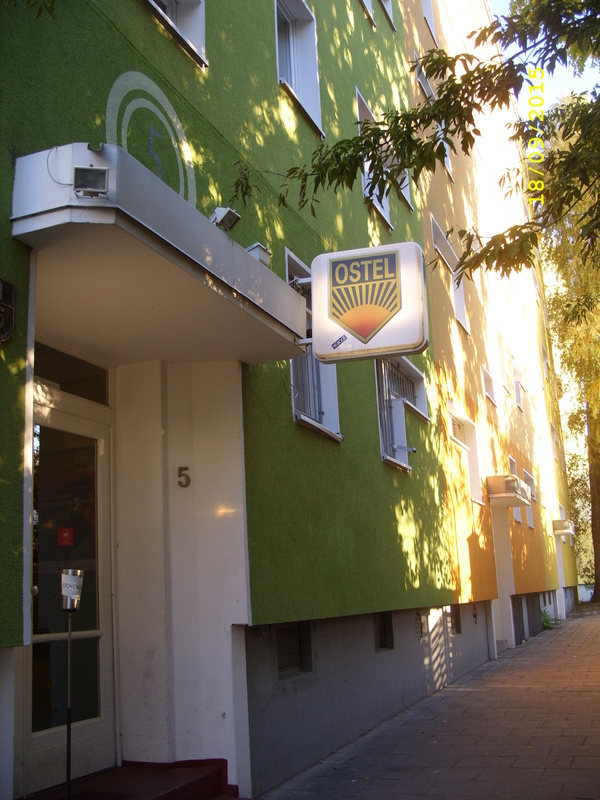 The restaurant was a perfect partner for the OSTEL. Another ‘Ostalgie Resturant’ is the Käsekönig just off Alexanderplatz (on Panoramastr.1), but the service here wasn’t quite as friendly and sitting outside on the street was a mistake as the weather turned. Neither could it boast the authentic furnishings and ornaments of the Volksammer, but the menu seemed more than appropriate. If you can’t stomach the food of 3 decades ago, don’t worry, one certainly won’t go hungry in Berlin – there’s an abundance of foreign restaurants. 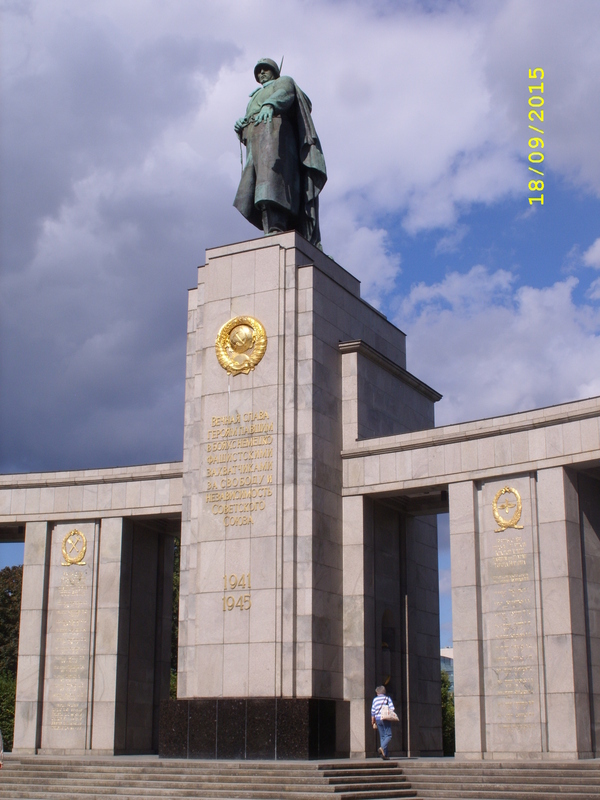 With so much to do and see, more to write about than we have space here, I offer my essential things to do in Berlin if, like me, you want to sense its history, all within walking distance of each other, especially when based at the OSTEL. 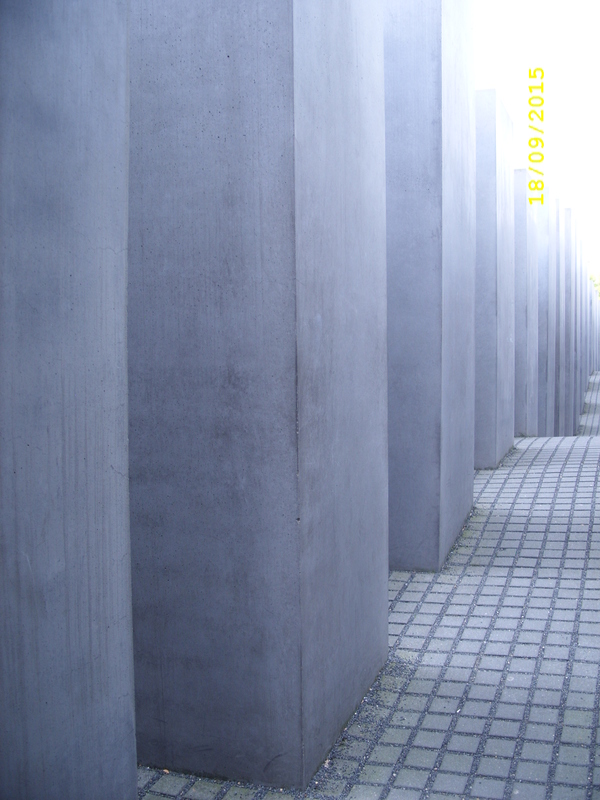 (FREE) Visit the memorial for the murdered Jews of Europe 2 minutes’ walk from the Brandenburg Gate, along Eberstrasse. Not only is this a moving experience (especially the poignancy of the Reichstag in view), but also it is an incredible piece of immersive sculpture. 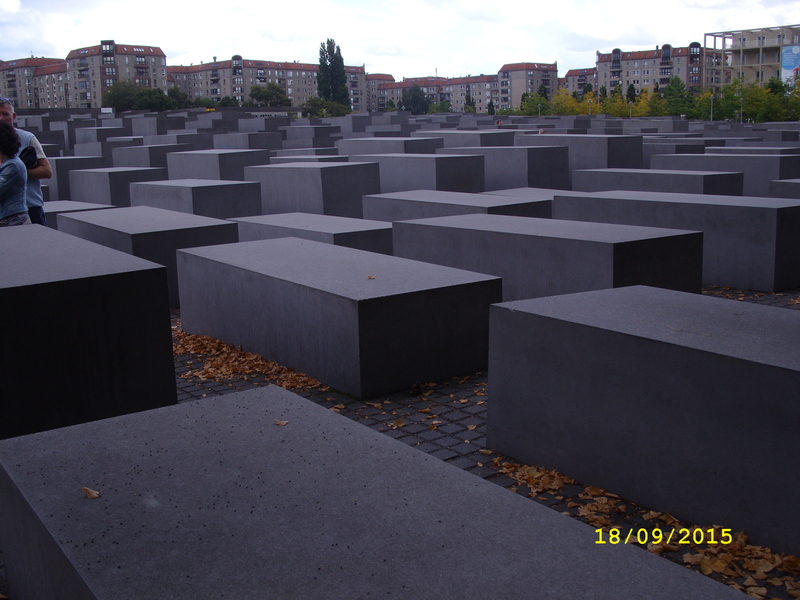 On the way you can also pay your respects to the homosexuals and gays murdered and persecuted by the Nazis (pretty much opposite), and nearer the Brandenburg Tor is the Memorial to the Sinti & Roma of Europe Murdered under the Nazi regime. But avoid the Western view of the Wall: Checkpoint Charlie. You couldn’t find a less authentic experience in Berlin if you tried. There is so much history to be seen, and so much to consider. But mostly I left saddened by all the focus on failure. The persecution and loss of life all weighs so heavy. Saddening too was the fact that there was little room for the debate that socialism might offer much, even if we agree the price of totalitarianism is not one worth paying. Only the DDR Museum offered some sense of everyday life, some redemption and only then in part, balanced as it was with Stasi exhibits. My view is that, in the end, the world lost more than the toll of its victims. It lost the chance of a possibility. This wasn’t a holiday. It was reflection, a memorial. Just as one might travel to WW1 war graves. Perhaps we ought to make such journeys in order to remember the danger in the states we elect and therefore in our consent we all carry in us the possibility of darkness or failure. In that darkness I hoped to find hope. I think it’s there, but it flickered dimly and fleetingly, supressed by Totalitarianism.